May the force of architecture be with you! Star Wars is not just a movie franchise, for some it is a whole way of life. Fans of the saga no longer need to be content with merely collecting the merchandise, with the world of architecture working to provide an experience worthy of any true Jedi. 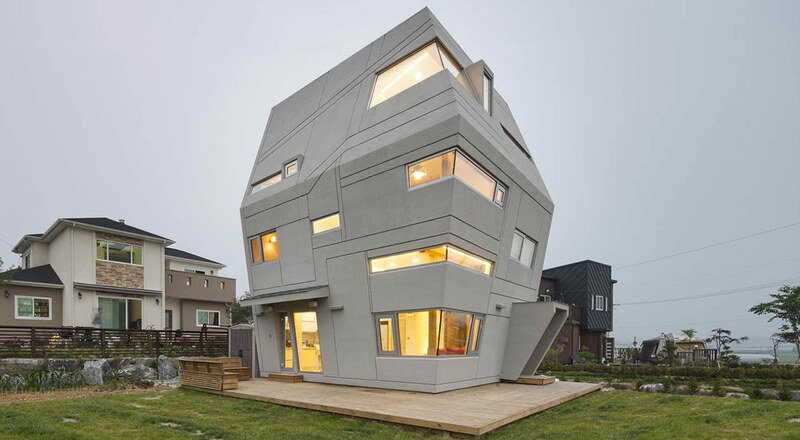 There are a number of Star Wars-inspired houses in existence but perhaps the most well-known can be found in the Yongin province of South Korea; a house that conjures up the spectre of the Imperial Death Star This house was designed and built by the Moon Hoon architectural studio and is inspired by the design of the sandcrawler vehicles that appear in Star Wars: Episode IV (A New Hope). These were the transport vehicles that the Jawas used to take R2D2 and C3PO to the Skywalker farm. In May 2017, Disney unveiled plans to build the world’s largest hotel inspired by the famous Millennium Falcon, which is set to open in the new Star Wars Land theme park in Orlando in 2019. It seems that a stay in the hotel will transport fans into the world of their favourite movies for a comprehensive and interactive experience. Disney plans to offer guests the chance to participate in personalised secret missions, mix with the characters from the films in the hotel corridors and even be assigned secret missions to be completed both on board (at the hotel) and on the planet (in the theme park). While you wait for this ship to open, you could also head for the Hotel Sidi Driss in Tunisia, which fans will no doubt recognise as Luke Skywalker’s childhood home on the planet of Tatooine. To end, there is also a ‘galactic family home’ in Taiwan worthy of a mention here. 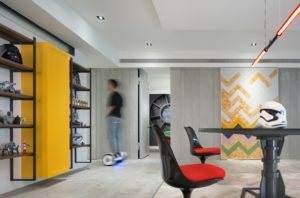 The architects at White Interior Design have designed a 132m2 house in Taipei, which echoes an Imperial ship and would make the perfect home for a family with children where every detail is designed to transport you to a galaxy far, far away.